Earlier this week, we had reported that Varun Dhawan was busy goofing off on sets of his currently under production venture Badrinath Ki Dulhania in Singapore. Well, with the festive season of Diwali here, Varun decided to indulge his co-star from the film Alia Bhatt in a little Diwali shopping. 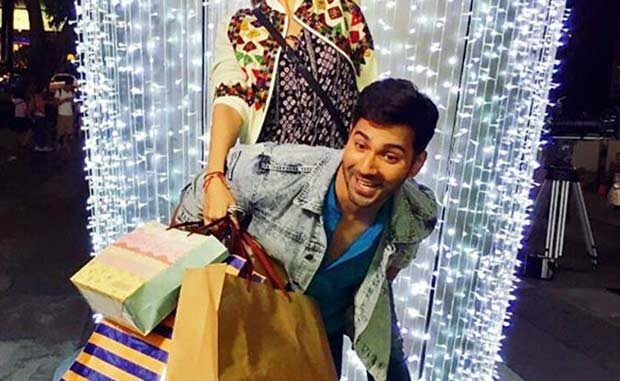 Posting an image of Alia getting a piggy back ride from him, Varun posted on Instagram saying, “#badrinathkidulhania loves shopping. So had to take her out. #candid. Caught striking a pose in between a shot.” Alia Bhatt too shared the same image adding, “In between shots Badri and I lighting it up this Diwali. #badrinathkidulhania”. As for the film, Badrinath Ki Dulhania which is being directed by Shashank Khaitan is said to be a sequel to Humpty Sharma Ki Dulhania. Currently being shot in Singapore, the film is being readied for release in March next year. From Whence and Whither So Many ‘Saving Muslim Women’ Book Covers? Kim Kardashian: Who Takes The Blame For This Look?